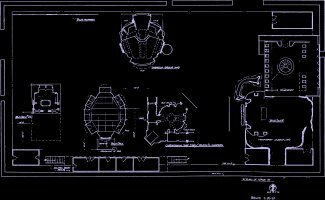 The Paramount Studio Group web site lists Stage 18 as used for Deep Space Nine and Insurrection. Over the years, Deep Space Nine's "Planet Hell" resided here as well. Additionally, the Defiant sets were built here, though the Engineering section was removed in later seasons to make room for other sets. A generic Cardassian set that was remodeled as required resided on Stage 18, as were parts of the Klingon ship used throughout the series. Stage 18 was used for the cave scene in Insurrection . It stands to reason that the Deep Space Nine cave set occupied this area and was simply expanded for the movie. This was the second of Enterprise's primary sets, in addition to Stage 8. 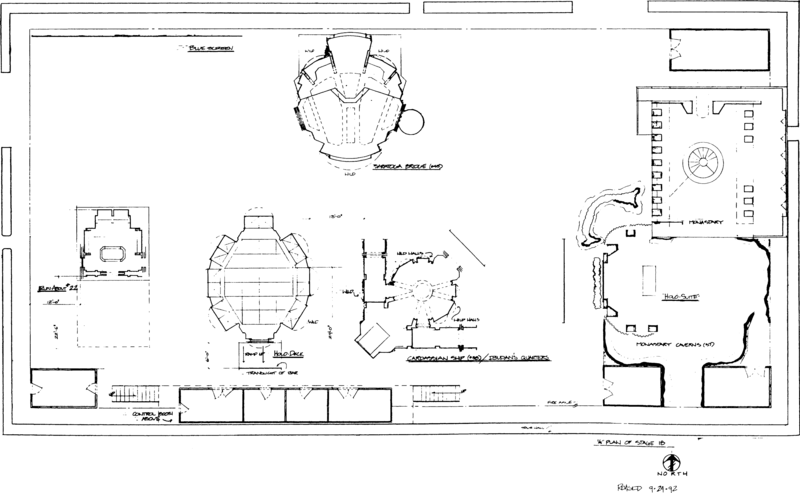 Stage 18 housed sets such as the Bridge, Engineering , Transporter Room, Decontamination Room, and the Shuttlebay. There appears to also be a small area for swing sets between the Shuttlebay and Engineering. Unlike previous Star Treks, Enterprise benefitted from two stages with corridors. The ones on this stage are labelled "Engineering Corridor." The more extensive, curved corridor set was on Stage 8. Reeves-Stevens, The Making of Star Trek Deep Space Nine, 1994, Pocket Books, p8. Erdmann, The Secrets of Star Trek Insurrection, 1998, Pocket Books, p126. Okuda, A Brief History of Paramount Stages 8 & 9, 2005, startrek.com. Star Trek: The Adventure, London.